Nigerian Senate passes bill to protect whistle-blowers – Royal Times of Nigeria. The Senate has passed a bill to protect whistleblowers and witnesses directly involved in the prosecution of certain criminal cases. 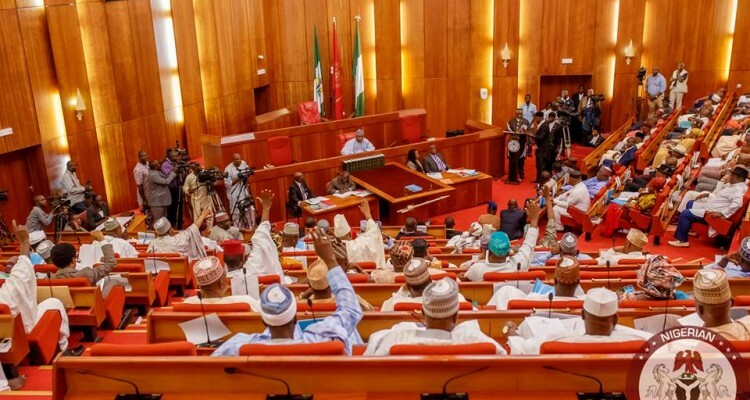 The bill, titled Witness Protection Programme (Establishment etc), SB 157, was passed on Thursday, following a report submitted by the committee on human rights, legal matters and judiciary chaired by David Umaru (APC-Niger). It was sponsored by Isiaka Adeleke, the Osun West APC Senator who died in April. When the bill scaled the second reading in October 2016, the Senate had resolved that it be merged with a similar proposal to protect persons making disclosures for public interest and other forms reappraisal, sponsored by Abiodun Olujimi, PDP-Ekiti. In his lead debate when the bill was being considered for second reading last year, Mr. Adeleke had said a law protecting witnesses was usually required in the prosecution of organised crimes like terrorism. In such trials, Mr. Adeleke said, the witnesses would be allowed to wear masks, bear pseudo names and receive protection from authorities. On her part, Mrs. Olujimi said “this is a cardinal bill in the fight against corruption.” She said fighting corruption hung on effective protection of whistleblowers. She mentioned three instances at the Ministry of Aviation, Women Development Centre and the Police Service Commission where whistleblowers were fired. Abdulmumin Jibrin, a former chairman of the appropriations committee of the House of Representatives, was just recently suspended for 181 legislative days on the ground that he breached members’ privilege. In his remark after the bill was passed Wednesday, the deputy Senate President, Ike Ekweremadu, who presided, thanked his colleagues for the bill, which he said, was in honour of the deceased Adeleke. The bill must also be passed by the House of Representatives and signed by the president to be law.